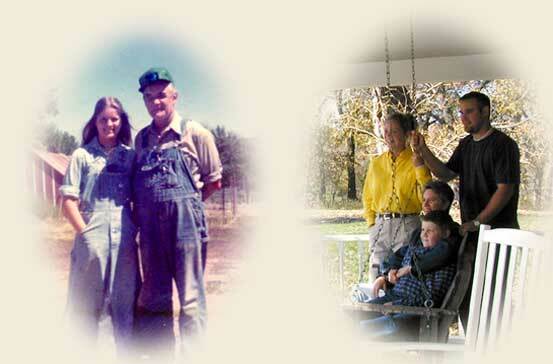 I am part of a family who has farmed organically for over 125 years. Today our crops, cattle and locker plant are certified organic by O.C.I.A., International, compliant with USDA Organic Standards. Bossie was our family milk cow. For the past 25 years I have kept cows with Bossie’s nurturing disposition and added Hereford/Angus vigor for a healthy herd of gentle strength to give you our best beef. Thus the name...Bossie’s Best™. By buying Bossie’s Best™, you play a vital role in supporting an agriculture that raises food without pesticides, herbicides, synthetic fertilizers, antibiotics or hormones. My Dad, John R. Vogelsberg, told stories of how his father talked of the prairie as being “medicine”. I remember as a young girl helping my Dad pitch prairie hay to the cattle. I thought Grandpa was wrong. The prairie bales of dried grasses and flowers smelled sweet like a dessert, not medicine! But Grandpa was right. The prairie, along with recycling plant nutrients in our rotation of crops and through our cattle, is essential in the circle of healthy life on our farms. The circle is complete when friends gather around a table to share a meal. We prefer people like you to purchase our beef. Folks who value tender and flavorful meat and appreciate a farming style that nourishes the soil and the soul! We hope that you enjoy our Smoked Organic Beef Franks. Please remember our Fresh Ground Beef is also available year round. If you prefer to have Bossie’s Best™ Custom Cut Beef for your freezer or to give as a gift, call us at 785-799-3737. We will gladly help you with your special seasonal order!